STOCKHOLM (Sputnik) - It will be difficult for the Swedish companies to remain on the Iranian market in light of the reimposition of the US sanctions against the Islamic Republic, Swedish Minister for EU Affairs and Trade Ann Linde said in an interview released on Tuesday. While the latest General Election in the UK ended in a disaster for Prime Minister Theresa May and resulted in a hung parliament, Sweden, Britain's closest ally in Europe, has special reasons for joy. Both Sweden's Minister of EU Affairs and Trade Ann Linde and United Kingdom's Brexit Secretary David Davis said that they wanted the fate of the UK and EU nationals residing in the European Union and in the United Kingdom respectively to be the first issue on the negotiations agenda of Brexit. 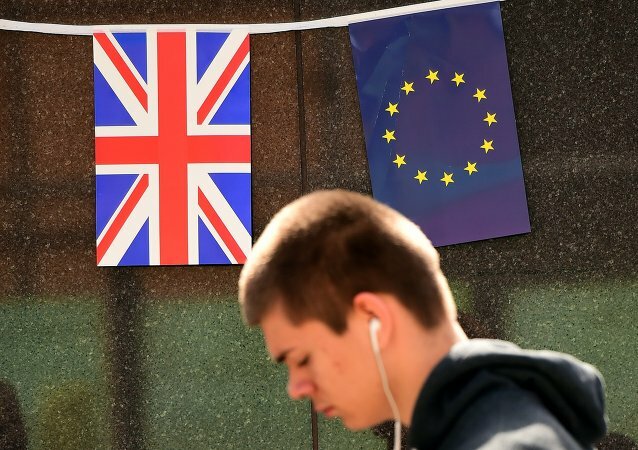 Sweden's Minister for EU Affairs and Trade Ann Linde said Friday that parties promoting xenophobic and nationalist views might get a boost from the Brexit referendum outcome.